I did a search for an Oliver 365. They look like they used the same Riton trip bottoms as a Ford 101. 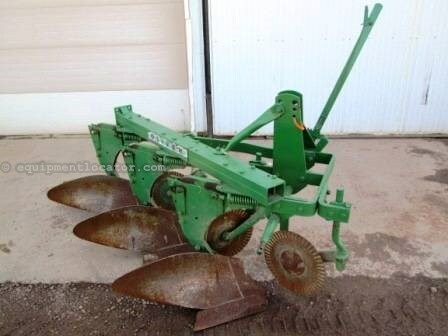 When pricing a plow it really is all about completeness and the condition of the wear parts. If yours is a good unit I would say you could get $350 for it fairly easily. Partly because it's a 3 point so anyone with a cat II tractor can use it but also because there are a lot of Oliver fans out there. I don't know about a trade but you could probably sell it pretty easily. I would list it in the classifieds on YTMAG. Quite a few Ollie guys over there.